I’m going to be updating/adapting this old D&D expert set adventure module (“Master of the Desert Nomads” and “Temple of Death”) to 3.5 for my Al-Qadim game. A lot of the story and encounters are going to be changed to fit my needs, but the nuts and bolts will remain. So, I’ll be doing a series of maps for the adventure. This is the first. I’ve loosely based it off the map provided, but changed almost everything about it. 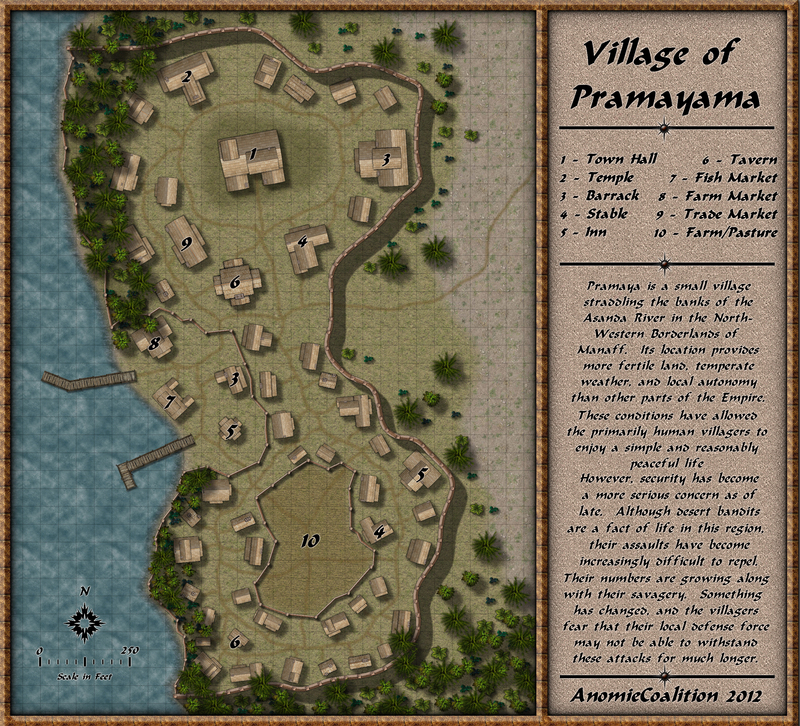 This will be the village where the PCs will begin. Its a small village that focuses on fishing, farming, and a little ranching. Its situated in the scrublands bordering the desert environment. 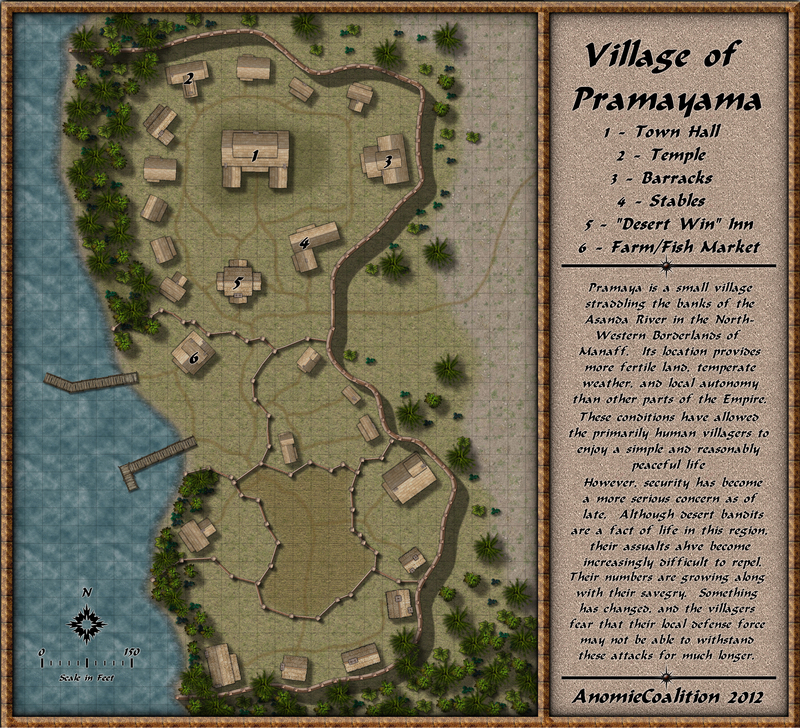 *Here is a new version that incorporates many of the suggestions provided by folks at the Cartographers Guild and Profantasy Forums. As you can see, I’ve increased the number of houses and decreased their size (along with changing the overall scale). I’ve fixed some typos in the text and added a few more labels. Categories: Old-School D&D Maps | Tags: Al-Qadim, CC3, Desert | Permalink.